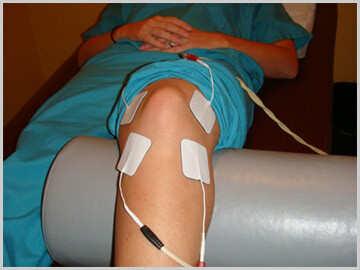 Interferential Electro Therapy - is used for pain relief and to aid in reducing the swelling of soft tissues. Ligament strains, muscle strains and spasms often respond to this treatment, helping to reduce atrophy and increase blood circulation. This technique safely strengthens muscles and helps reduce painful symptoms. 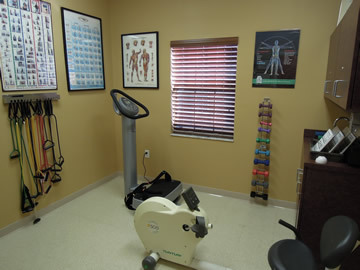 Ultrasound - Is a therapeutic treatment using high frequency sound waves administered in the region of the injury to heat and help break down and disperse unhealthy calcium and other hard tissue accumulations. The rise in blood flow, relaxes muscle spasms, massages damaged tissues and speeds the healing process. Cryotherapy - Is a term that describes the application of ice, cold towels, ice massage and compresses to reduce the temperature of tissues directly on or below the surface of the skin. Ice is most often used to manage acute injuries or recent eruptions of chronic conditions. 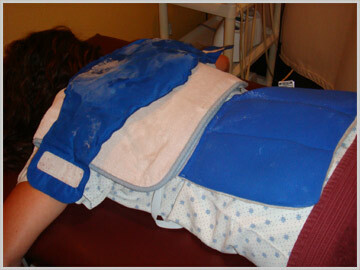 Cooling affected tissues is effective in reducing and preventing post traumatic swelling. Intersegmental Traction - is a way of inducing passive motion into the spine for the purpose of stretching spinal joints and increasing mobility. Since discs have a poor blood supply, they get nutrients from the circulation of fluids surrounding the spinal joints. This helps increase and restore necessary elasticity and motion to the spine. 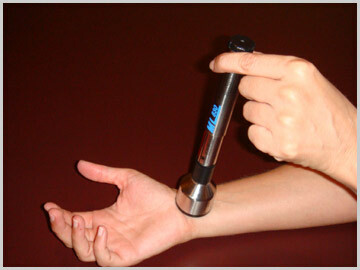 Laser Therapy - Is a low level, non-thermal laser capable of penetrating into tissue. 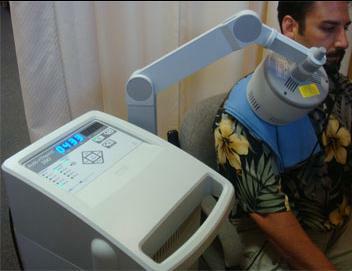 Once delivered, the light energy promotes the process of photobiostimulation. In human tissue the resulting photochemical reaction produces an increase in the cellular metabolism rate that expedites cell repair and the stimulation of the immune, lymphatic and vascular systems. 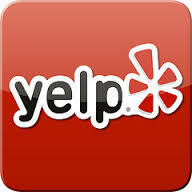 The net result is the apparent reduction in pain, inflammation, edema and overall reduction in healing time. Superficial Heat - Hot packs, warm moist towels, heating pads infrared lamps are often used to help raise the temperature of soft tissues directly below the surface of the skin. This is used to calm tissue suffering from long term spasms or irritation and is an easy way to increase flexibility, range of motion and promote increased circulation to speed the healing process. Therapeutic Exercise - Is a set of repetitive stretching, strengthening or endurance maneuvers designed to develop weakened or injured muscle groups that support the spine. Specific exercises help rehabilitate the spine. By the time many patients seek professional help, fibrotic scar tissue has changed the elasticity and strength of supporting muscles. A program of carefully designed stretches and exercises helps restore better tone to these damaged tissues. 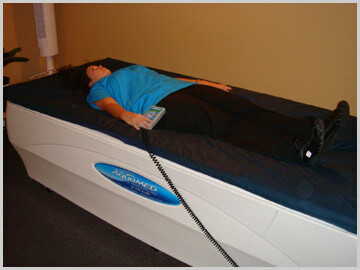 AquaMed Dry Hydrotherapy - This new therapy increased blood circulation for better body health. Decreased muscle tension for better movement. Increased oxygen absorbtion for better energy. Decreased muscular toxins for better injury recovery. Increased release of endorphins for better well-being. Decreased blood pressure for better circulatory health. Increased muscular range of motion for better flexibility. 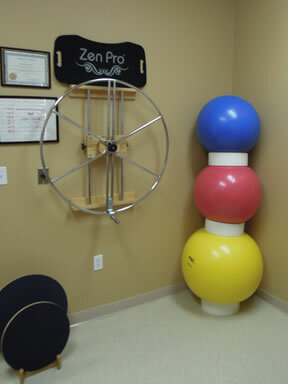 This is one of our most popular therapies. 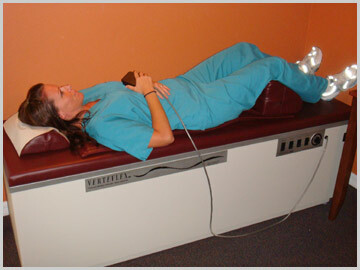 Pulsed / Continuous short wave Diathermy is a form of therapy used to enhance tissue repair and reduce pain. 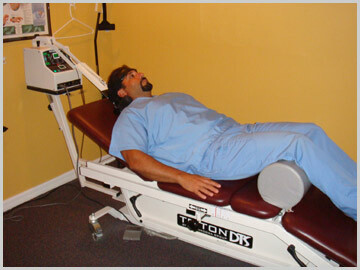 Diathermy can provide the following physiologic benefits. Massage Therapy - Is a term describing a variety of techniques using the hands, mechanical or electrical apparatus to stimulate or soothe soft tissues of the body for therapeutic purposes. 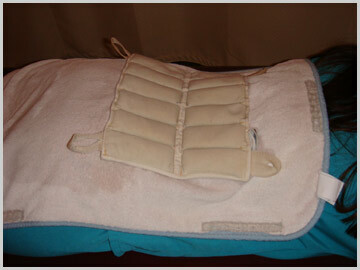 This is used in many conditions in which body relaxation, the reduction of swelling and muscle mobilization is desired. Massage can be helpful in overcoming the swelling and pooling of fluids at the site of recent injury or trauma.